I love synergy. 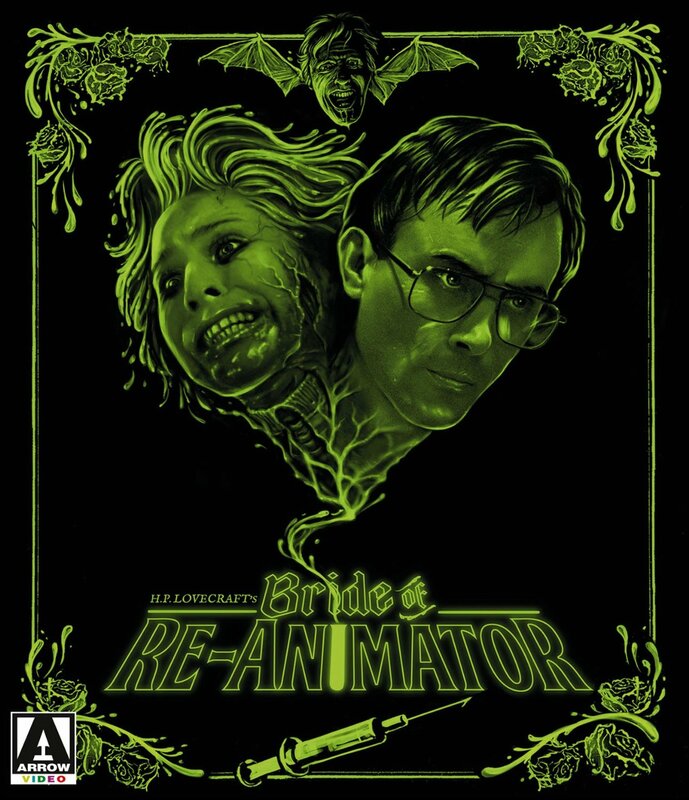 I love that Arrow restored "Bride of Re-Animator" at the same time that Shout Factory was working on a features-heavy version of "The Texas Chainsaw Massacre 2." 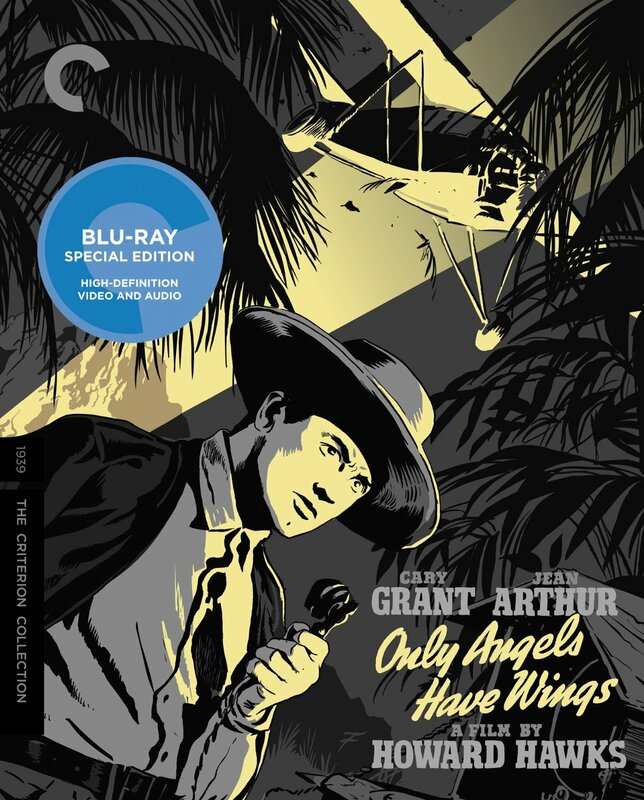 I love that Universal pulled out 18 films from the early days of Cary Grant's career that you can use to accompany Criterion's release of his masterful "Only Angels Have Wings." This time of year, in which the new releases are a bit, well, underwhelming (sorry, "Fifty Shades of Black"), it takes digging a little deeper to find something worth reporting on in the HECG, and we found a few pairs. Dig with us, won't you? Note: Perhaps because they knew so many people would be watching "Daredevil" and "Unbreakable Kimmy Schmidt," Netflix has been bone-dry in terms of interesting new releases on the service, more so than I can ever remember. So, we're skipping that section this week. "It's like being in love with a buzzsaw." "Not much future in it." Howard Hawks' mesmerizing "Only Angels Have Wings" gets not just a fantastic 4K restoration from Criterion but comes with a great special feature, in which critic David Thomson discusses how the film fits in Hawks' legacy. He notes how much Hawks is playing with genre here, moving from comedy to drama to action even to musical. He also reminds us that Hawks and star Cary Grant were coming off a bomb in "Bringing Up Baby" (mind-blowing now given how beloved that movie is) and needed a hit in this film. Boy, did they get it. It's just such a delicate, perfect movie. It's fascinating in terms of film history because of the aerial stunts and the rising star nature of Rita Hayworth and Grant, but it's also just a great character piece about men who refuse to stay grounded and a woman who finds herself in a unique corner of the world. It's worth buying just for Jean Arthur's piano playing. I'm not really kidding. It's joyous and perfect. 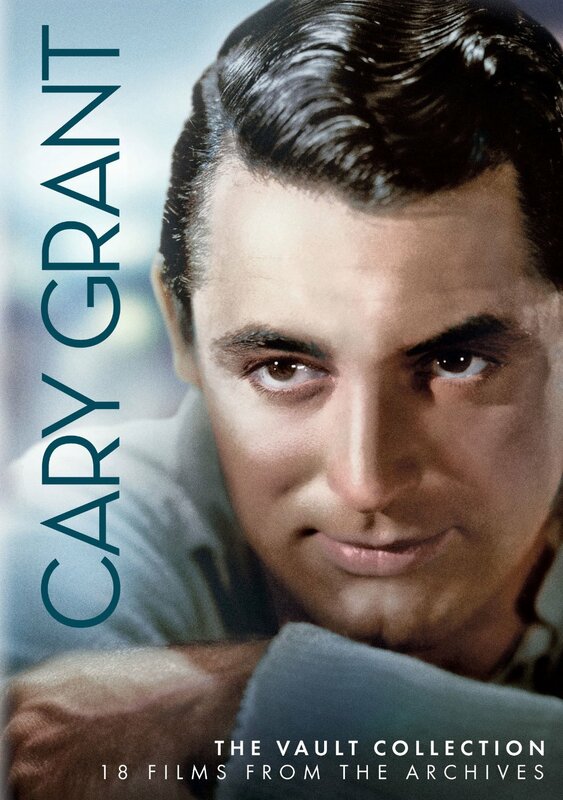 "Cary Grant: The Vault Collection"
Speaking of movie history, if you want to see how Cary Grant got from the early days of his career to "Only Angels Have Wings," check out this new DVD-only box set from Universal with 18 of his early films, all of which come from 1932-36. Yes, he made 18 films in those years. Hollywood worked differently back then. It's a majority of what he made in that time period, including his debut "This is the Night" in 1932, and five films not previously available on DVD. Yes, they're still releasing movies from the vault that had not been previously available. Hard to believe in 2016. Grant's star power and stunning degree of charisma was there from the beginning. Some of these early film may be a bit rough, but if you have a Cary Grant fan in your family, maybe for Mother's Day upcoming, you could do a lot worse than this set. None, but here are the five films included that have never been available before on DVD, which is quite special in 2016: "The Woman Accused," "Ladies Should Listen," "Madame Butterfly," "Enter Madame!" and "Gambling Ship." 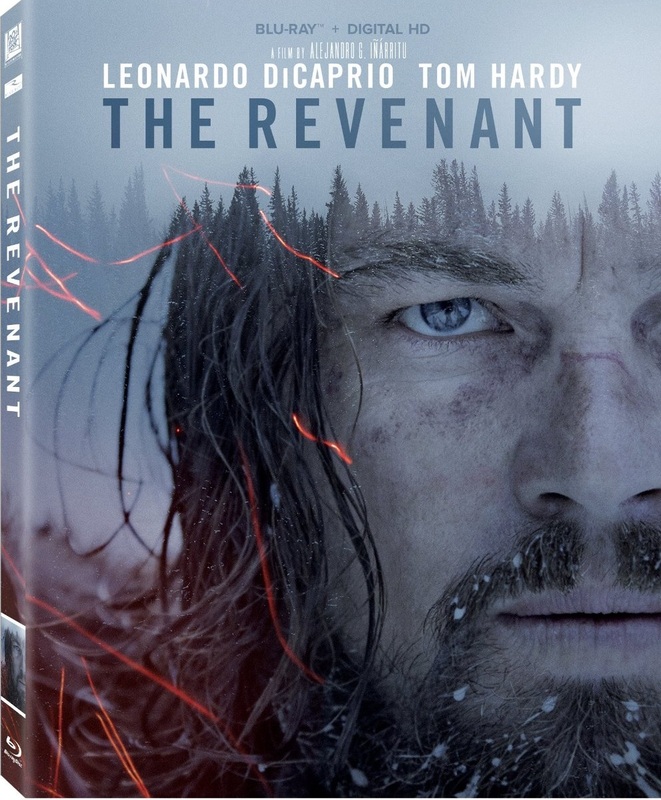 Now is the time where I defend "The Revenant." Careful Blu-ray buyers will notice that I'm quoted on the inside case for the movie, so my opinion on it is pretty well-known. There's not much point in recounting it, although I do stand by every word of my review. I can say that and still agree that the "Boy, was it cold out there" aspect of the awards season campaign was remarkably annoying, but that's all it was: a campaign. Years after Leonardo DiCaprio and Alejandro González Iñárritu took the stage to accept their Oscars, people won't be watching "The Revenant" with the PR campaign in mind, and we should be able to separate that from the art itself. And, yes, I consider "The Revenant" art. It is visceral, engaging drama that doesn't always work—the more mystical, Malick-esque stuff in the middle falters even more on repeat viewing—but is ambitious and entertaining enough to connect for this viewer, and millions of other ones. All of whom deserve a better Blu-ray. It's odd how many major releases lately are coming nearly bare-bones to Blu-ray. This is another for which the movie has to basically speak for itself. No commentary or deleted scenes, and only one behind-the-scenes featurette. 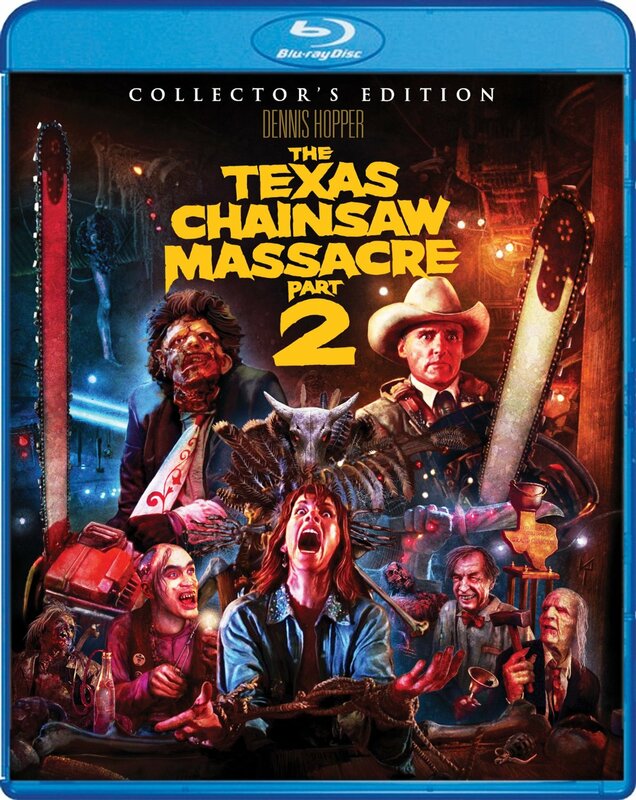 I still kind of can't believe that "Texas Chainsaw Massacre 2" exists. It is so extremely nutty. It is so strange tonally. It is part black comedy, part gorey horror, and part of the reason we have to put up with Rob Zombie (his blend of humor and horror so clearly traces back to this film it's ridiculous). Tobe Hooper didn't direct smash hit "Poltergeist" that long before this, Dennis Hopper was a star, and the original was a cult hit. And THIS is what audiences saw in 1986—total eff'n insanity. I'm not willing to go as far as some colleagues and proclaim it a horror masterpiece, but I do have to admit to liking it more every time I see it. I admire its go-for-broke lunacy and Shout Factory's gorgeous 2K HD scan certainly helps with that appreciation. As they always do, Shout Factory brings the goodies, not just in the perfect HD transfer but in copious special features. None of which quite adequately answers the key question about the movie: How the f--k did this get made? Speaking of movies that are ridiculously gorey, welcome to Brian Yuzna's follow-up to the masterful "Re-Animator," although this one doesn't have quite the cult following of "TCM 2." It doesn't quite deserve it either. I love "Re-Animator," but I had forgotten how choppy (pun only slightly intended) the sequel was. It drags in the first act and then feels kinda desperate in the last act. Having said that, Arrow's restoration of it looks great and the three-disc special edition comes with TONS of special features. Arrow is one of the best houses for this kind of thing, if this is your bag. 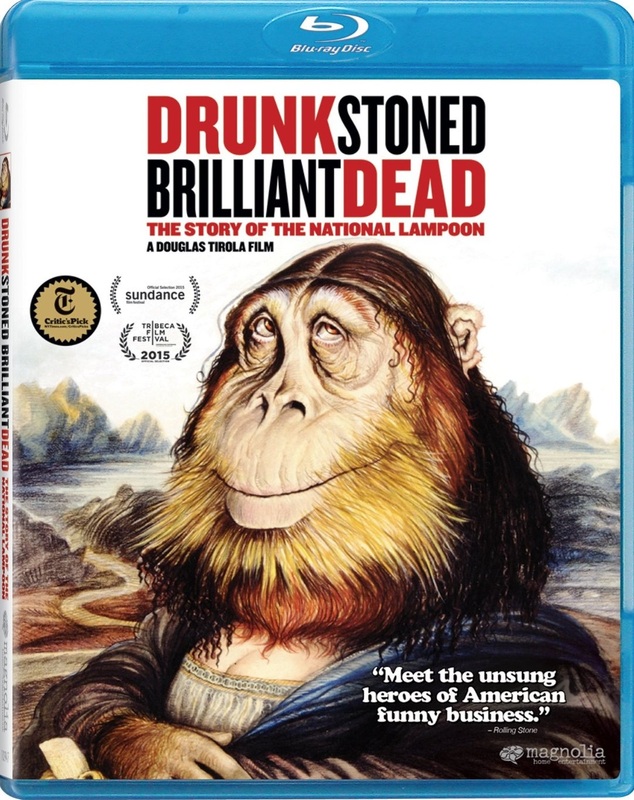 Douglas Tirola's documentary about the history of the National Lampoon made waves on the festival circuit but Magnolia never quite got it to a big enough audience given its star power and place in comedy history. People still laugh at a NL movie every single day, especially classics like "Vacation" and "Caddyshack." Tirola's film goes much further back, of course, to the formative days of the magazine that once tapped into a counter culture vein and would inevitably make stars of many of the comedians of the '80s. The doc is mostly good for anecdotes about how comedy like this gets made, especially something as almost spontaneous as "Animal House." It's a hilarious documentary. I wish it didn't end so abruptly and answered more questions about why Lampoon turned into a straight-to-video factory in the '90s, but it focuses more on the success of the brand, so it's forgivable. File this under two-actors-who-should-be-bigger-stars. I'm always impressed by the versatility of Rebecca Hall (who can jump from period pieces to horror movies to rom-coms with ease) and I think Jason Sudeikis should be a bigger star (do yourself a favor and check out what he's doing now on FOX's "Last Man on Earth," it's brilliant). This heartfelt indie barely made a dent when it was released in theaters, but could do some nice word-of-mouth business on Blu-ray, VOD and DVD. It's totally worth a look for those in need of a nice romantic dramedy with actors who rise above relatively simple material. 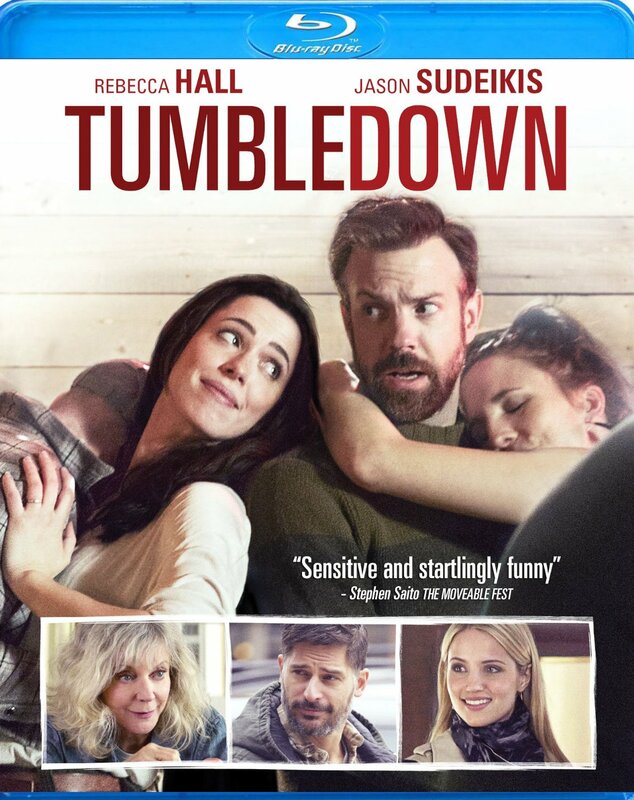 Sudeikis plays a writer who helps Hall's widow with a book about her folk singer husband, and, well, you guessed it. I'm long past exhausted with films that teach us that love will get us over things like depression, but Hall and Sudeikis bring nuance and delicacy to the piece. Next Article: “Silicon Valley” & “Veep” Return For Near-Perfect Comedy Hour Previous Article: Tom Hiddleston and Hugh Laurie Shine in AMC's Brilliant "The Night Manager"